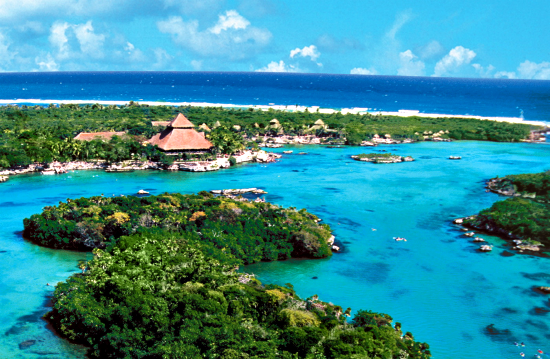 Two of the best attractions in the Mayan Riviera in one amazing day! 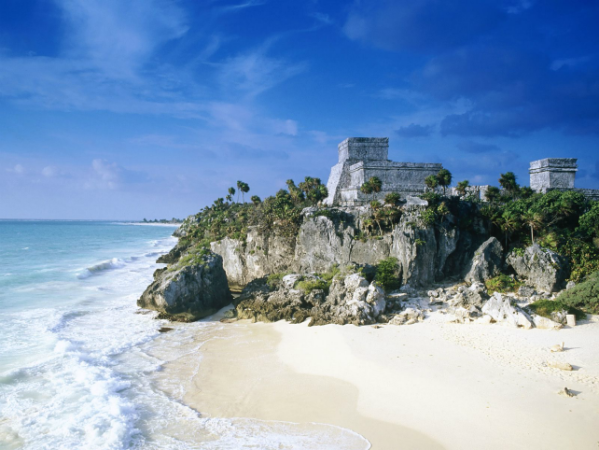 First head to Tulum and visit the Mayan Ruins that sit perched on a cliffside overlooking the turquoise sea. Beautiful view, impressive ruins and a quick guided tour so you can learn a bit more about the Mayan culture and the ancient city of Tulum. Then head to Xel Ha where you can snorkel with tropical fish, float down the lazy river, enjoy all inclusive drinks and food or laze in the hammock garden. For an addition cost you can also swim with the dolphins. INCLUDES: Round trip air-conditioned transportation, guide, entrance to both sites, all meals and drinks at Xel-Ha, towels, lockers, ice cream, snorkeling gear and tips. HINTS AND TIPS: Comfortable shoes for walking. $25 US dollars are needed as deposit for towels, lockers and snorkeling gear rent. RESERVATIONS: Please reserve at least 2 days in advance. For minors until age 5, entrance is free with ID. Between 6-11 years of age the child’s rate applies, above this age they are considered as adults. Bring ID for children. Daily departures from your hotels main door. It is advisable to book Xel Ha with transport if your hotel is located in the Cancun area. Daily departures from your hotels main door. If you are between Playa del Carmen and the Tulum area, you may want to consider booking Xel Ha without transport and taking a taxi. This will save you money. Enquire at your hotel as to the cost of the taxi, or contact us if you need guidance.